Apprising Ministries continues tracking the evangelical pilgrimage back to Rome through its spiritually deadly sordid lust affair with corrupt Counter Reformation Contemplative Spirituality/Mysticism (CSM). It’s critical to remember that CSM flowered in the antibiblical monastic traditions of the Church of Rome and it would produce apostate Roman Catholicism in the first place. We also have to keep in mind that this spurious CSM slithered into the mainstream of the church visible largely through the work of Living Spiritual Teacher and Quaker mystic Richard Foster along with his spiritual twin and Southern Baptist minister Dallas Willard. This neo-Gnostic cult of Foster-Willardism masquerades as so-called Spiritual Formation and its crown jewel is a form of meditation in an altered state of consciousness commonly called Contemplative/Centering Prayer (CCP). CCP is transcendental meditation only lightly sprayed with Christian terminology. So, just what do Reformed New Calvinist John Piper and apostate emerging Progressive Christian Rev. Jim Wallis have in common? Well, we begin to see it in Beth Moore And John Piper Lead Lectio Divina-Lite At Passion 2012. That’s right; they both want the organizations they head to practice the CSM practice of Lectio Divina. No guilt-by-association here; this is strictly guilt-by-endorsement. 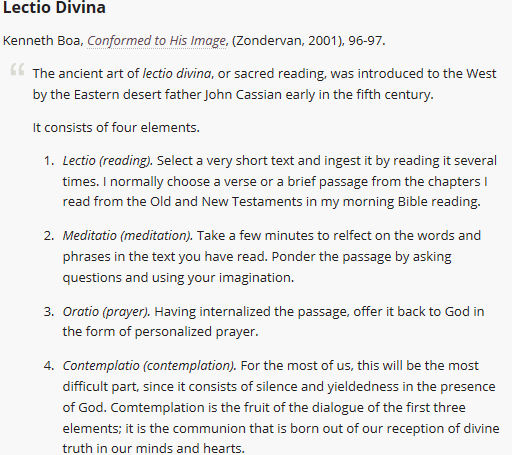 Since it’s not the main subject of this piece, for more on the CSM practice of Lectio Divina I refer you to Dangers Of Contemplative Spirituality/Mysticism: Lectio Divina. Hmm, I guess now the monks are going to have to make room on that ladder for the New Calvinists. In closing this, for now, as a servide to our neo-Gnostic neo-Reformed friends, below is a little lesson in Lectio Divina and CCP. Let me introduce you to our CSM spiritual directors. First we have former pastrix Rose Marie Berger, whose title is at Soujouners of Jim Wallis is Associate Editor. Guru Berger was co-pastrix at Sojourners Community Church. Our other instructor for our little Lectio Divina lesson is Web Editor Jeannie Choi, former youth pastrix at Temecula Calvary Korean Church. It’s interesting to note that at 2:24 into the first video clip guru Choi tells us she was introduced to CSM and Lectio Divina by one of her professors at ostensibly evangelical Wheaton College. Now in the Reformed sector CSM continues reversing the Reformation and ushering in pietism and syncretism.